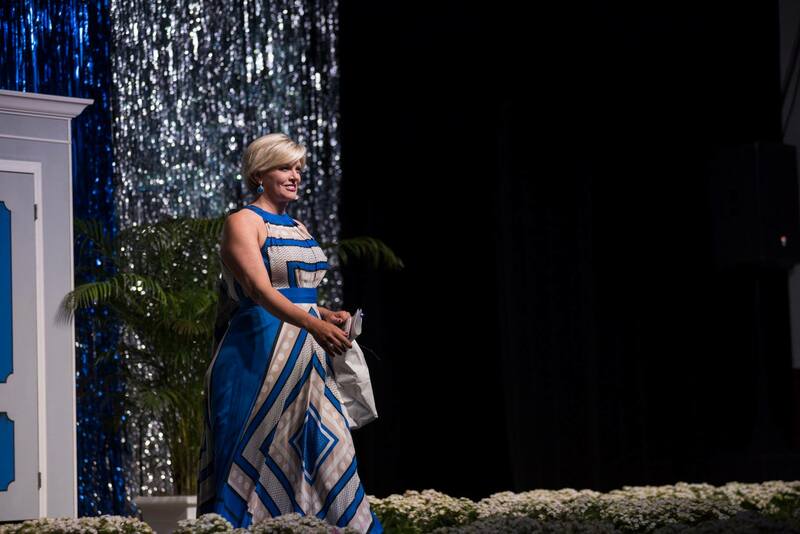 On April 17, 2018, more than 500 supporters gathered at the Morroco Shrine Center for Goodwill's Striving to Succeed Celebrity Fashion Show and Luncheon. 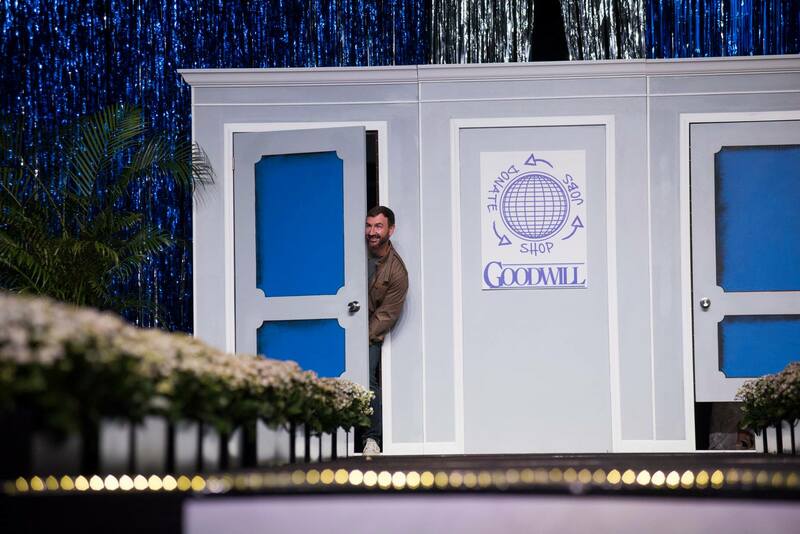 This annual event showcased local celebrity models walking the runway in head-to-toe looks from Goodwill stores. 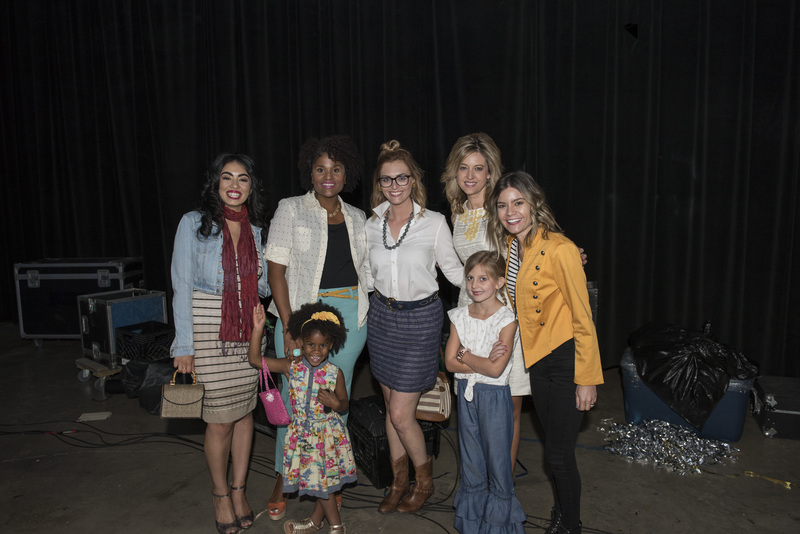 This year we welcomed many new models including Amy West and Lyndsay Almeida, along with some favorites, such as our emcee, Nikki Kimbleton. The highlight of the luncheon is honoring of our Achievers of the Year and this year was no exception! 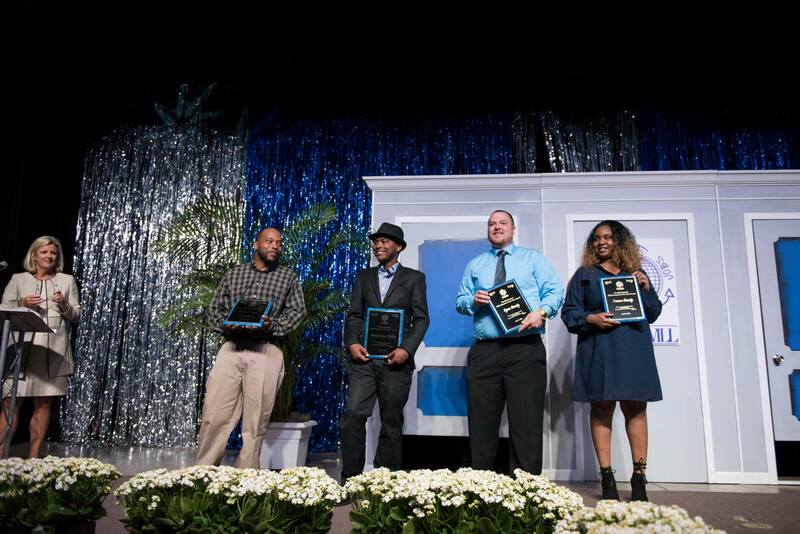 Our 2018 Achievers included husband and wife, Teresa and Ryan Grady, Take Stock in Children graduate, Monterious Phillip and A-STEP graduate, Mike Smith. These honorees were honored at the luncheon by showcasing their stories and how they continue to overcome obstacles in their lives and a formal award presentation. These success stories exemplify determination and a can-do attitude. Each of this year’s honorees not only reached out to Goodwill for help, they pushed themselves to change their lives for the better. We wish all of our Achievers continued success! Take a look at the full event, from behind the scenes make-up to the catwalk and our four Achievers of the Year! Goodwill Board Chair, Cindy Stover, presents the Achiever of the Year Awards to (left to right) Mike Smith, Monterious Phillip, Ryan Grady and Teresa Grady. Goodwill's Fashion Show emcee, Nikki Kimbleton, takes the stage. Matt Pittman, Florida Times-Union, ready for the runway.